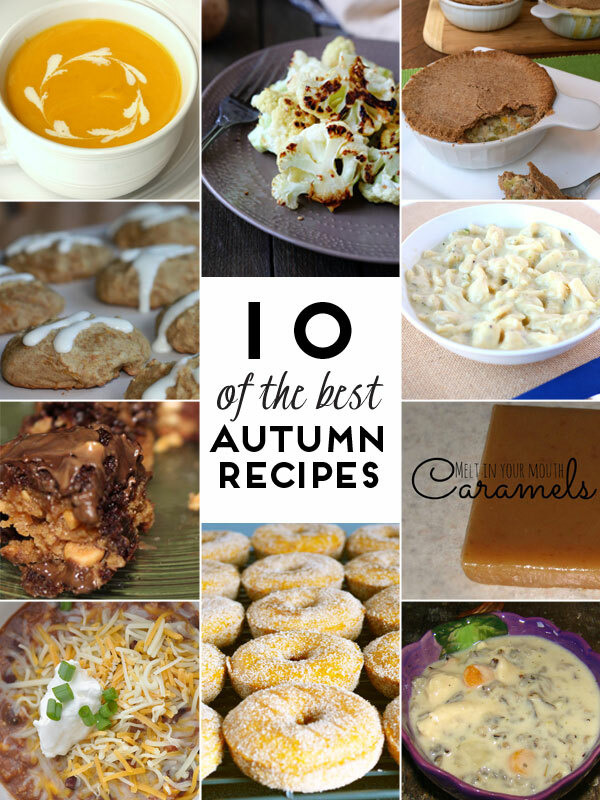 Welcome to our Autumn Recipe blog hop! We’ve joined team with 9 other fantastic bloggers to put together a delicious collection of the best Autumn Recipes. And, to make it even better, we’ve put together a fantastic giveaway at the end – so be sure to enter! And, also, be sure to try out this delicious Roasted Cauliflower recipe as our contribution to the Autumn Recipe hop. It’s delicious! Preheat oven to 400 degrees F. Cut cauliflower into bite-sized florets. In a medium bowl, toss cauliflower with olive oil. Place cauliflower in a single layer in a shallow baking dish. Sprinkle with salt and pepper. Roast in oven for 25-30 minutes, or until the tops start to brown. Sprinkle with Parmesan cheese if desired. And, finally, it’s time for a giveaway! Now a recipe blog hop wouldn’t be complete without a baking-inspired giveaway. We’ve gathered up some of our favorite baking supplies to help you create some delicious autumn food for your loved ones. 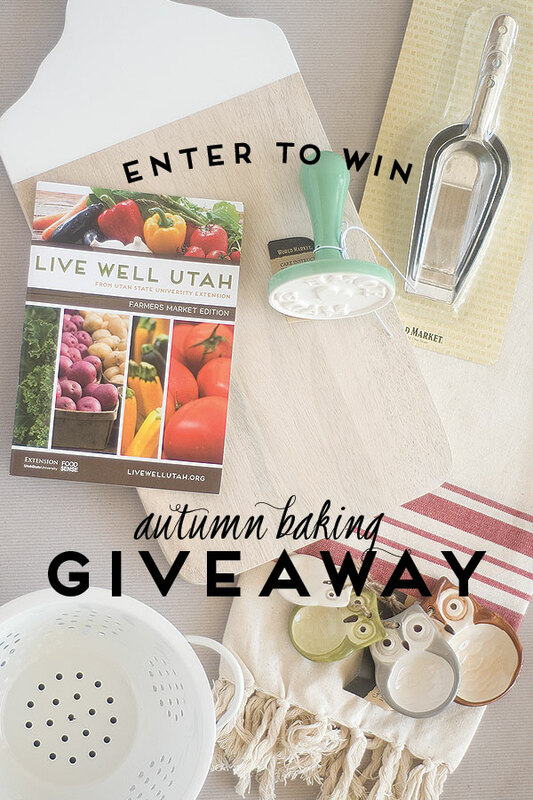 The giveaway includes: 1 white washed cutting board, 1 set of pantry scoops, 1 cookie stamp, 1 copy of Live Well Utah Farmers Market Edition publication, 1 mini colander, 1 set of owl measuring spoons, and 1 vintage inspired kitchen towel.